Shanghai Science & Technology Museum; People’s Republic of China. / National Academy of Sciences, PNAS. 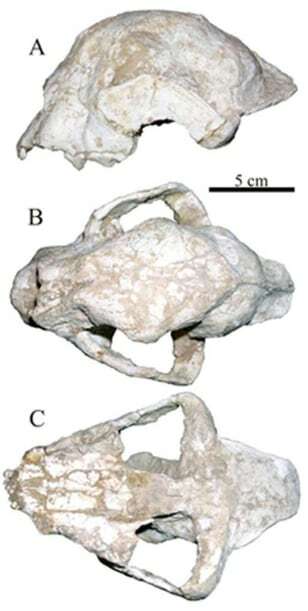 This skull specimen represents the most primitive cheetah species known to date. A. View from the side; B. View from above; and C. View from below.